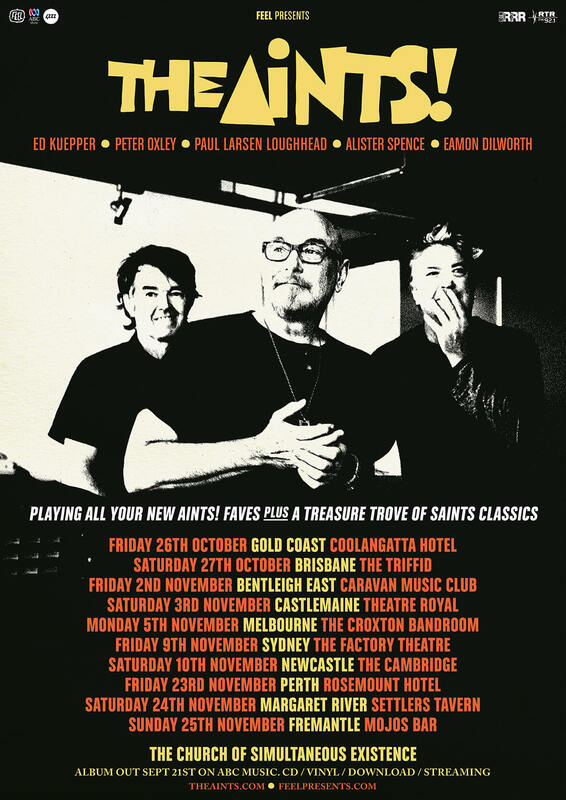 Forty years after the release of one of the great Australian debut albums of all time by 'The Saints', Ed Kuepper returns with a brand new band 'The Aints!' and a brand new contender for the title. Come the 40th anniversary of The Saints debut Kuepper decided it was time to revisit the music of his youth. Recruiting like-minded souls in Sunnyboys bassist Peter Oxley, drummer Paul Larsen Loughhead (The Celibate Rifles / The New Christs), jazz pianist Alister Spence and trumpeter and finally brass arranger Eamon Dilworth the band performed as The Aints! Play The Saints (’73 - ’78) covering Kuepper’s tenure with the band and all the classics including This Perfect Day, Know Your Product, Swing For The Crime and (I’m) Stranded to large crowds and a hugely appreciative response. But rather than purely recycle those formative songs Kuepper began to introduce the new-old material to an audience certainly eager to hear what else Kuepper had been sitting on since 1978. 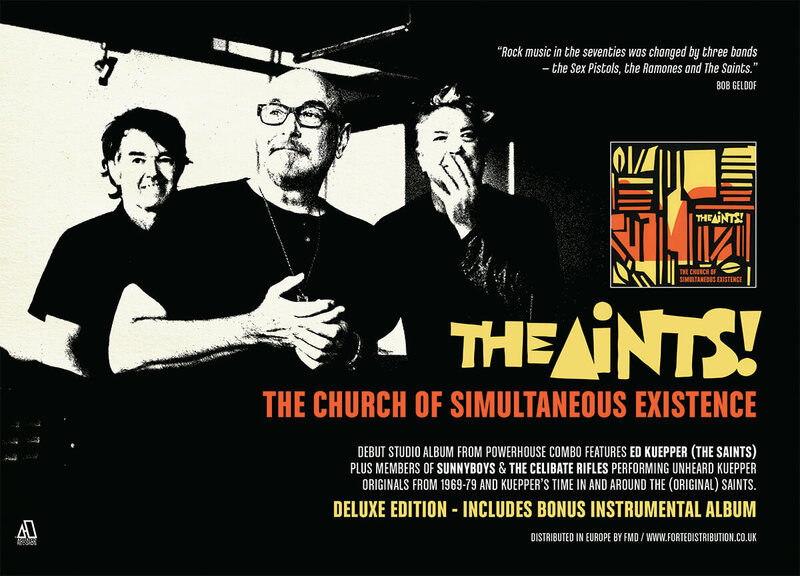 A further positive response from the music department of the ABC saw these two iconic Australians join forces and consequently bring to light what is in essence, the long lost fourth album by The (original) Saints. From the glorious slash and burn of Stranded-era track SOS ’75 via the horn-driven Red Aces (the mooted follow up to 1977s classic 7" Know Your Product) to Winters Way, recorded and released by the Laughing Clowns for their 1984 swan song LP Ghosts Of An Ideal Wife but written in 1975 and presented here closer to it's original form. Meanwhile Goodnight Ladies (arguably the albums centrepiece) draws from three songs written in the period. The earliest from 1969 when Ed entered high school and describes as ''a kind of overture of my pre-Saints stuff." Elsewhere Country Song in G can stand proud next to Kuepper’s 1990s solo classics The Way I Made You Feel , I'm With You and Wish You Were Here though its inception dates back to late 1977.